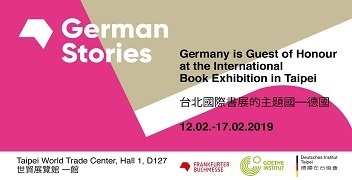 Germany will present itself at the Taipei International Book Exhibition with the theme “German Stories.” “German Stories” designates the variety of stories that can be told out of Germany: The rich cultural programme at the German collective stand will emphasise literary as well as professional and socio-political themes. 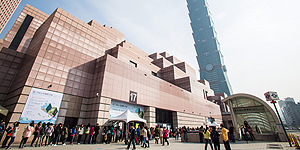 Together with Taiwanese authors, 13 German writers will present their works at the fair. In addition to literary voices, the focus will also be on current social topics, including artificial intelligence and technology and its impact on society, as well as on issues that are of particular relevance in Taiwan, including coming to terms with the past and justice. Alexander von Schönburg is a German journalist and writer. He lives with his family in Berlin. He worked on the staff of the FAZ newspaper and was editor-in-chief of Park Avenue. Since 2009 he has been part of the managing editorial team of Bild Zeitung. He has written many bestselling books, including The Art of Stylish Poverty (2005), Everything You’ve Always Wanted to Know About Royals But Were Afraid to Ask (2008) and The Art of Smalltalk (2015). Arne Jysch was born in Bremen. He studied communication design and animation at Hamburg and Potsdam. He currently lives in Berlin as a freelance storyboard artist and comic. He is also teaching storyboard as a guest lecturer at the Film University Babelsberg. "Wave and Smile" was his first comic. His graphic novel " Der nasse Fisch "(the wet fish) after the eponymous crime novel by Volker Kutscher became the bestseller in Germany. The popular German crime drama” Babylon Berlin” is also base on the same story. Axel Scheffler, born in Hamburg, has been living in England since 1982 when he studied at the Bath Academy of Art. He is an award-winning, internationally-acclaimed illustrator of some of the most well-loved children’s books. He has drawn his distinctive illustrations for authors of children's books from Britain, Germany and the Netherlands. 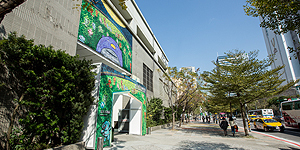 His books have been published in many languages and his work has been exhibited all around the world. German lawyer and one of Germany's most successful authors. Since 1994, he has worked as a criminal defense lawyer in Berlin. Among his clients have been former Politburo member Günter Schabowski, the former East German spy Norbert Juretzko, and members of the crime underworld. His books, which have been translated into more than 35 languages, have sold millions of copies worldwide and have made him "an internationally celebrated star of German literature". Holger Volland is the founder of THE ARTS+, a digital culture festival, and the Vice-President of the Frankfurt Book Fair. He studied information science and worked as an internet pioneer at Pixelpark, one of the first multimedia agencies, in Berlin and New York. Volland then went on to set up a consultancy firm and lead the New Economy Business School whilst also teaching design at the Wismar Academy and curating important contemporary art exhibitions in Argentina and Germany. Marc-Uwe Kling is a German songwriter, author and Kabarett (political stand-up comedy) artist. He studied Philosophy and Dramatics at Freie Universität Berlin. His business model is to write books that fiercely criticize capitalism and sell incredibly well. A two-time German Poetry Slam Champion he has also won numerous awards for his stage shows. For his Kangaroo stories he was awarded the German Radio Award, the German Cabaret Award and the German Audio Book Prize. Miriam Meckel is the Publisher of Wirtschafts Woche, Germany’s largest weekly business publication. She holds degrees in journalism, communication science, sinology, and political science from Germany and Taiwan, finishing as a doctor of philosophy. She holds a professorship for Communication Management in University of St. Gallen since 2005. She is an award-winning speaker, receiving the Cicero-Speaker Prize in the category of science in 2001, and a bestselling book author who has published prolifically on the development of the Internet, digital life and the future of journalism. Dr. Regina Bittner is head of the Bauhaus Dessau Foundation Academy. Her work focuses on international architecture and urban research, modernity and migration, the cultural history of modernity and heritage studies. She curated numerous exhibitions on the Bauhaus and the cultural history of modernism. The results of her research and teaching have been published in numerous publications. She studied Cultural Studies and Art History at the University of Leipzig and earned her doctorate at the Institute for European Ethnology at the Humboldt University in Berlin. Journalist and editor of „Süddeutschen Zeitung“, one of the largest daily newspapers in Germany. He studied legal theory and criminology in Hamburg and Tokyo. After that he worked in law firms, a juvenile prison and at the International Criminal Tribunal for the former Yugoslavia. He is an expert in war crimes, transitional justice and Middle East affairs. He published a successful biography of Fritz Bauer and his contribution. Sebastian Fitzek lives in Berlin. He is a German writer and journalist. Fitzek sold over 12 million books worldwide and alone 5 million books in Germany and is one of the most successful writers of Germany. After going to law school, he decided against a juridical profession for a creative occupation in the media. He is currently working in the programme management of a major capital radio station. Stephan Thome comes from Biedenkopf in Germany. He now lives in Taipei. He studied Philosophy and Sinology at the Freie Universität in Berlin and at various universities in China, Taiwan and Japan. He worked in East Asia for ten years. His work has won several prizes His novels Grenzgang, Fliehkräfte and the latest Gott der Barbaren were shortlisted for the German Book Prize. In his enthralling new book, Stephan Thome tells a story that precedes our crisis-ravaged present day. Theresia Enzensberger is the daughter of Hans Magnus Enzensberger. She grew up in Munich and studied films at Bard College, New York, before moving to Berlin. As a freelance journalist, she writes for FAS, ZEIT and ZEIT Online. She also writes columns for Monopoly and FAZ Quarterly. In 2014, she founded BLOCK Magazine, which was honored at the 2016 LeadAwards as the best newcomer magazine of the year. In 2017, her first novel Blueprint was published. Wilhelm Schmid lives as a freelance philosopher in Berlin and teaches philosophy as an adjunct professor at the University of Erfurt. He studied philosophy and history at the free University in Berlin, at the Sorbonne and in Tübingen. In 1991 he received his doctorate in Tübingen with a thesis on "Art of Living with Michel Foucault". 2012, he received the Meckatzer Philosophy Award for special merit in teaching philosophy. In 2013, he received a prize from the Egnér Foundation in Zurich for the previous work of the art of living.